In the past, Microsoft provided disk images for many of their products through their subcontractor "Digital River". These downloads were pulled in early 2014. 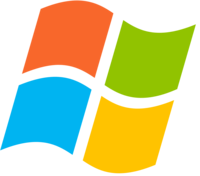 Afterward, Microsoft made a limited selection of downloads available on their TechBench site. This special tool accesses that TechBench site and unlocks a large number of hidden download files on it. What happened to the legacy version? Due to a lot of changes that Microsoft introduced to the download process, the legacy version no longer works correctly. Therefore, they have removed the file. The download tool has been confirmed working on Windows 7, 8.x and 10 (with up to date Internet Explorer and .NET Framework). As these are all Windows OS that are still supported by Microsoft, the legacy version should no longer be required. Note: this tool requires .NET Framework 4.6.2 or newer. Internet Explorer 8 or newer. Disclaimer: Direct downloads for the lastest version of Microsoft Windows and Office ISO Download Tool 8.11 are provided by the official software's author, we can't guarantee safety, availability or download speed. Moreover, we don't and we won't provide any pirated/illegal versions or tools. We recommend you to avoid it as these methods can harm your device. If you like the software, buy it to support the developers. (We provide software discounts for many worldwide brands).